Stunning Windows for your home. Unrivalled choice of styles, glazing options & finishes. 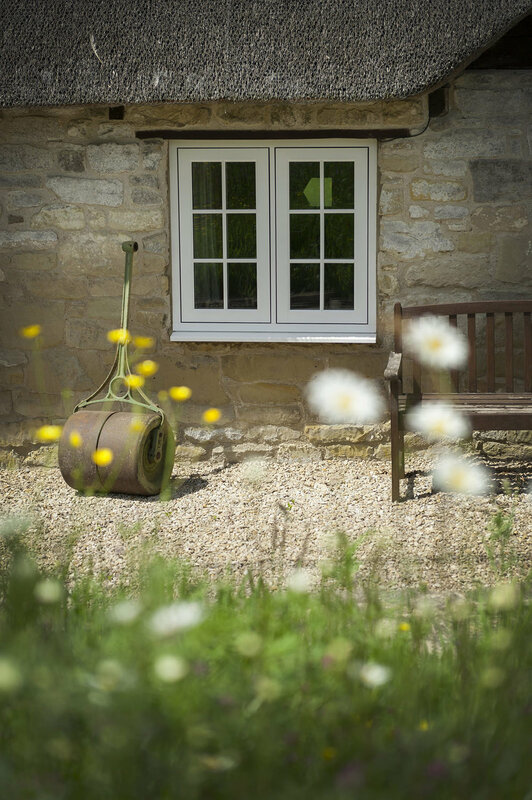 Richard Thomas Conservatories & Windows prides itself on having one of the best selections of quality PVCu double and triple glazed windows within Dorset & Hampshire. 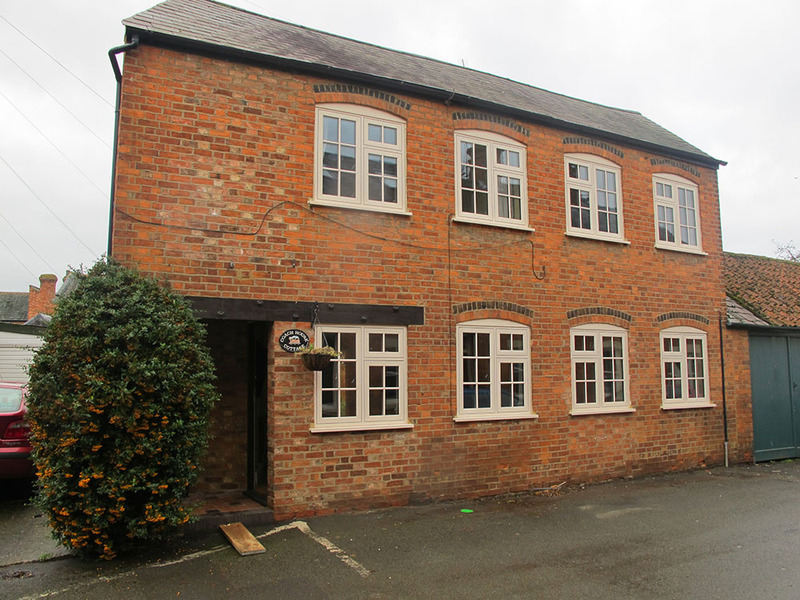 All our windows will provide money-saving energy efficiency, noise reduction and will enhance the appearance of your property. We offer a vast range of colours, textures and styles with the option of choosing from a wide range of security features. 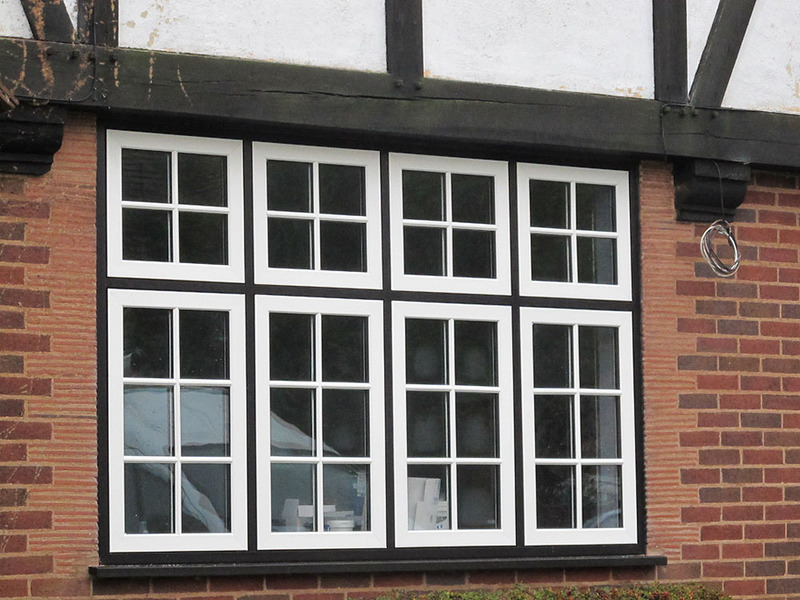 Casement windows are one of the most popular window styles in the UK. 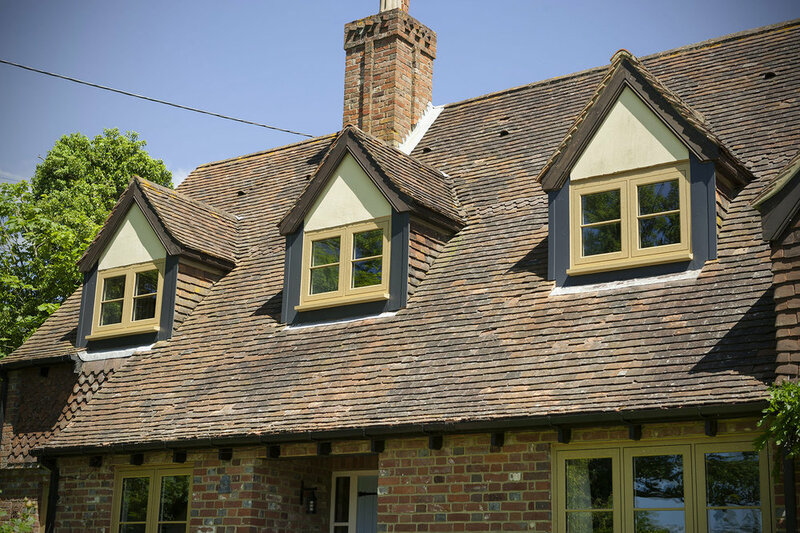 Our casement windows are tailor-made to suit your home, manufactured to fit virtually any height or width you require, it serves as the perfect solution for the majority of homes. 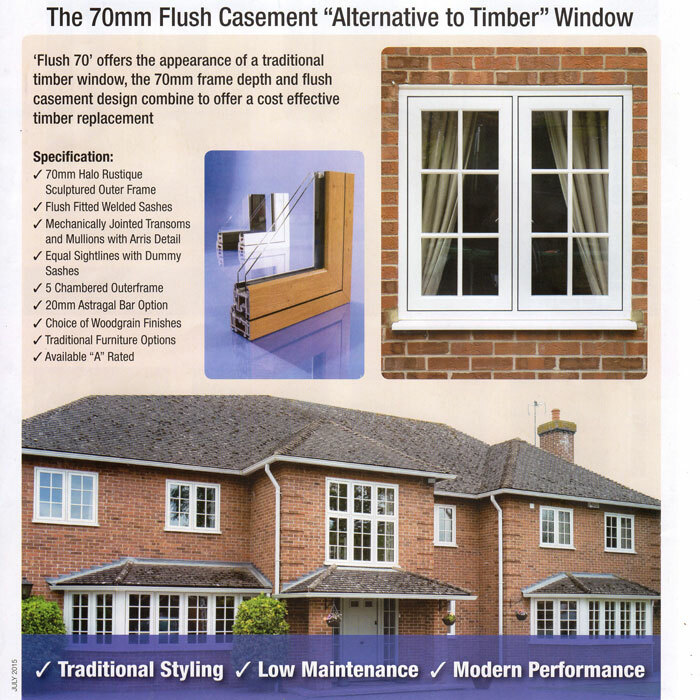 Casement windows are now available in flush casement systems. 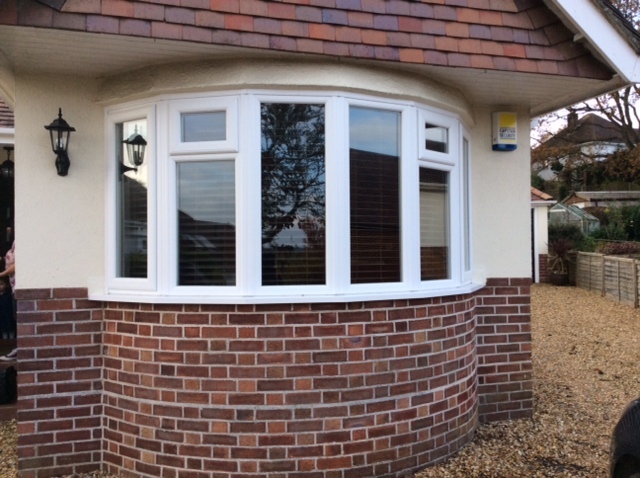 Opening at the top or the side, our Tilt and Turn window is simple to clean and always secure. 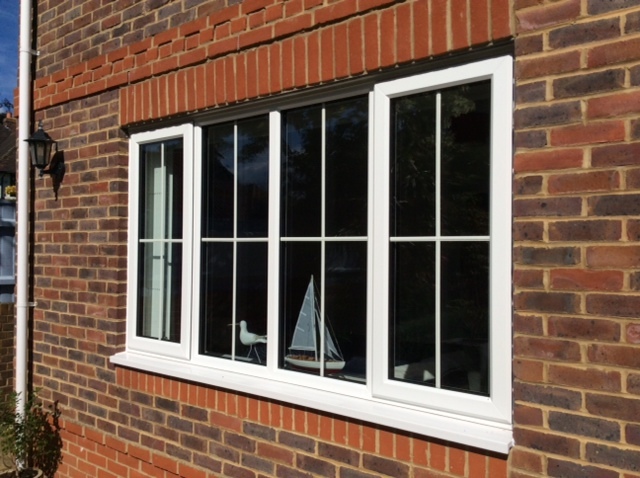 Tilt and Turn windows are made from strong and durable PVCu, virtually maintenance free and their simple style is particularly suited to contemporary homes. 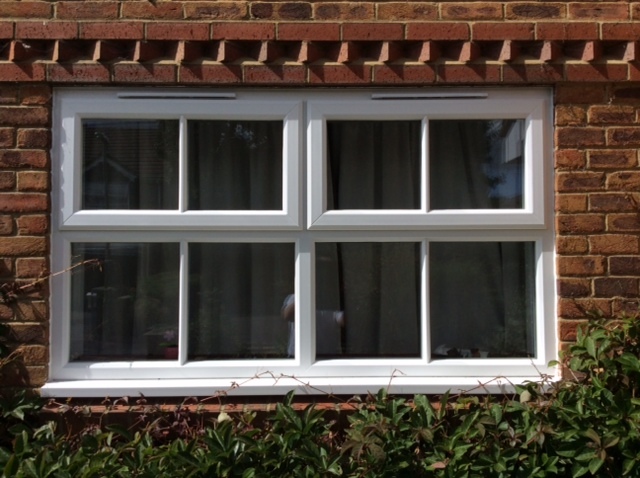 French windows are suitable when home-owners prefer the capability of operating both sashes, leaving a totally uninterrupted open area. French Windows operate in a similar way to French doors. One sash is the Master, which can be opened and closed at will. The second is the Slave sash that can only be opened when the Master is open. 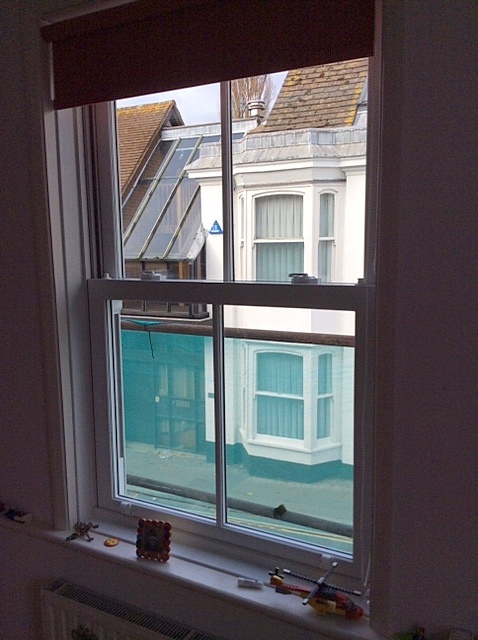 Bow & Bay windows are installed using reinforced window frames. The frames are connected using structural bay pole assembly kits and/or reinforced corner posts for square bay windows. Bay windows are an elegant, practical and flexible way of increasing usable space in your home and dramatically improving kerb side appeal. 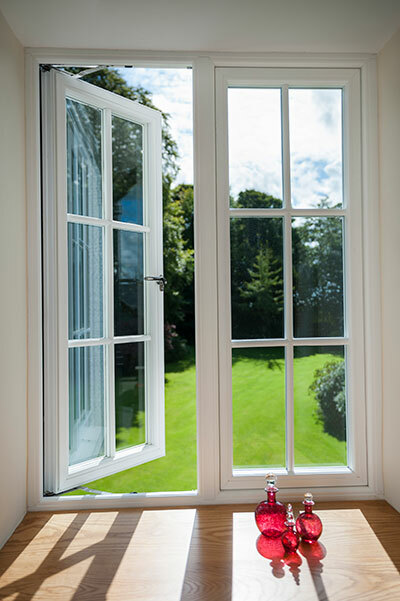 Flush 70 windows offer a competitive alternative to the Residence 9 system featuring a 70 mm frame depth and a flush casement design combined to offer a cost-effective, contemporary & modern Casement window. 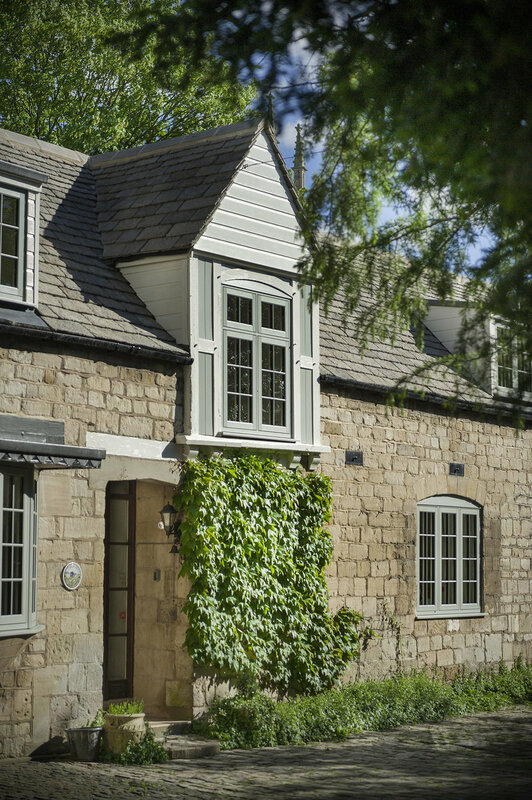 Flush 70 is an exciting new product which reflects the aesthetics of traditional timber windows with the improved longevity of PVCu, providing the best of both worlds. Richard Thomas Vertical Sliders are almost indistinguishable from the original Timber vertical slider, yet it offers all the inherent advantages of modern materials. These windows capture the classic stylish looks of a Georgian sliding window without the risks of drafts and poor security. 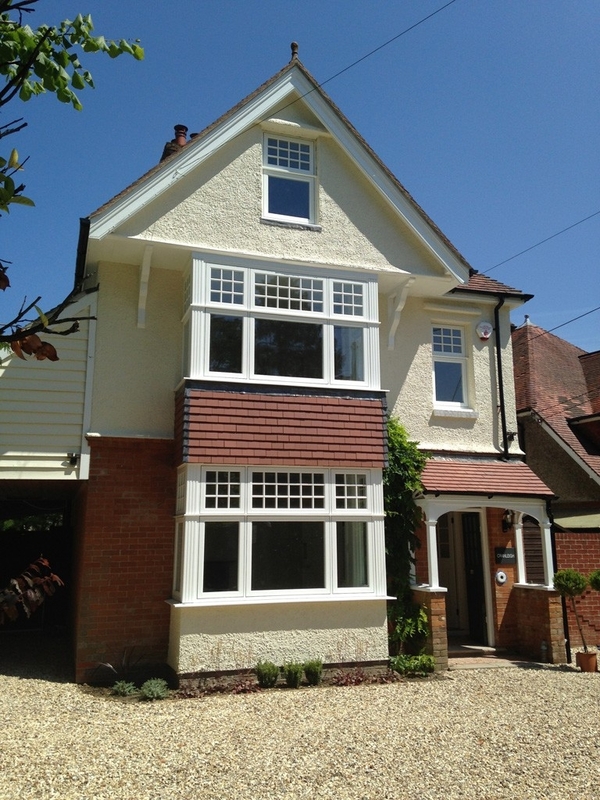 Richard Thomas Conservatories & Windows are proud to showcase Residence 9 windows. Manufactured from a modern composite material to give a virtually maintenance free finish, the easy clean rebates are also foiled in the same finish providing a high-end maintenance free appearance. 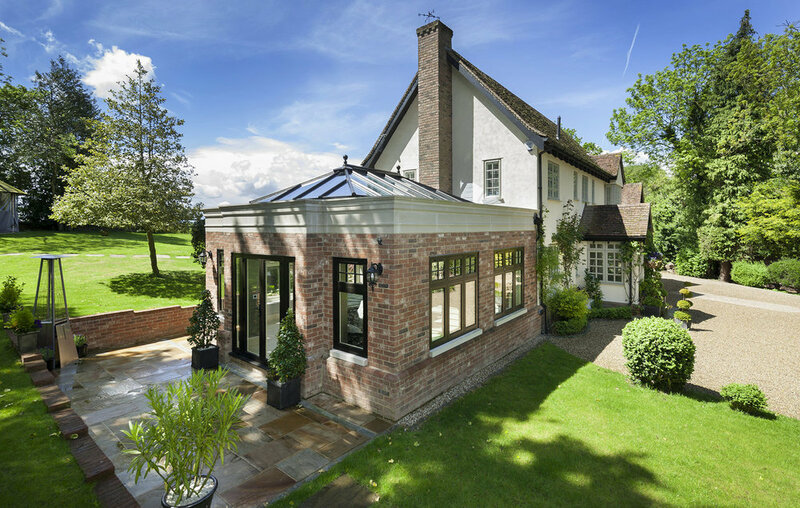 Residence 9 is truly a luxury, top end window system and can also be incorporated into Orangeries and Garden rooms from the Richard Thomas Conservatories & Windows range. 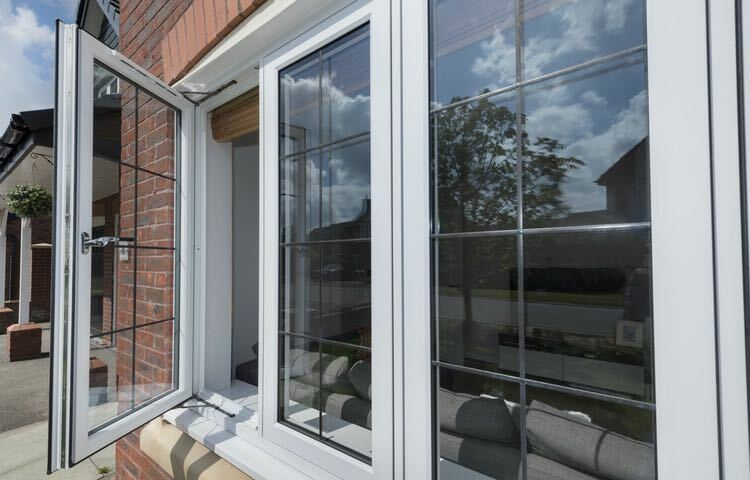 Our exclusive triple glazed windows are almost identical to our double glazed windows except for an additional pane of low emissivity (low E) glass and slim internal bead, this means it's easy to mix and match triple and double glazing windows throughout your house. 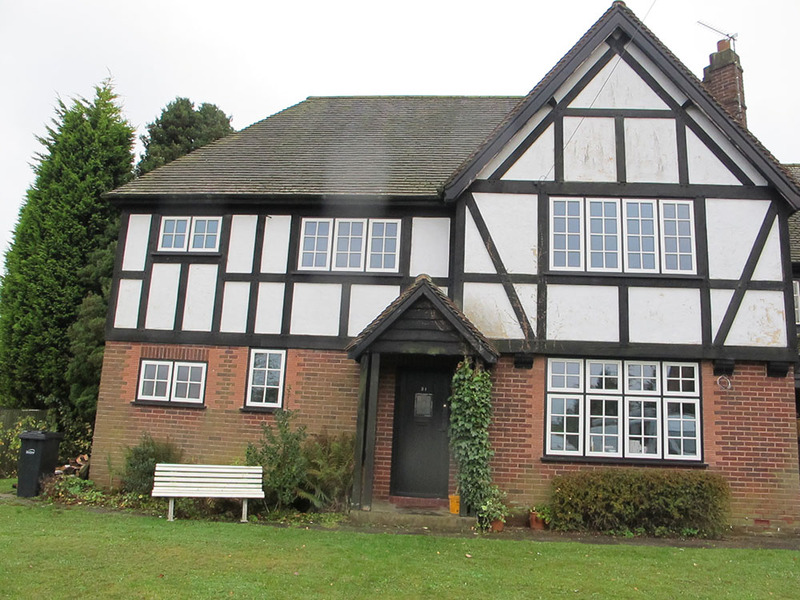 Improve your homes energy efficiency with our energy rated double glazed windows or go that one step further with our triple glazed windows for even better efficiencies. Our multi-chamber profile helps prevent heat escaping while the low glass reflects heat back inside. Between each of the panes is an Argon gas to stop cold air entering and the spacers are coated in a low conduction material to hold in more heat. All of our windows are draught free thanks to our leading technology and will keep your home warm and draught free. With a range of locking mechanisms available you can rest assured that your home is safe and secure. Ensuring your home feels safe is one of our main priorities. Our specialists will be able to guide you through the range of locking mechanisms available to ensure you choose the right solution for your home. 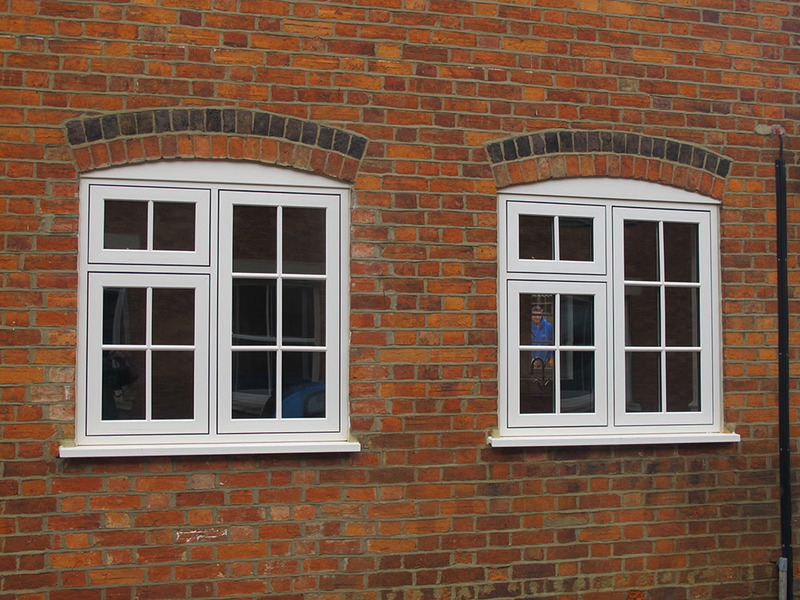 The windows we install are all bespoke ensuring each frame sits perfectly in the wall. This not only offers a thermal barrier but introduces acoustic benefits too. The right choice for those living near busy roads, under flight paths or near town centres. Rest assured that your new windows will protect you from unwanted noise where ever your home is situated, particularly with the option to upgrade to 'silent-sealed units' which reduce noise transference even further compared with standard and triple glazing. Richard Thomas provides a large range of sizes and styles to match your budget and house character. Please browse our gallery below to see the variety of styles available. All Richard Thomas Conservatories & Windows contracts come with a 10 year QWAN insured Richard Thomas warranty. This includes sealed units, frames, roofs and all workmanship. Also our design consultants will be able to advise how to look after your new products to ensure maximum longevity.